X.Org 7.7 was released last week and following the katamari's debut there was a brief discussion about plans for X.Org 7.8. While it was quick to be discussed, don't expect X.Org 7.8 to come until late 2013. These days the X.Org "katamari" releases aren't tied in tandem to new X.Org Server releases or other milestones, but basically once in a while all of the independent X.Org packages at their latest versions are tied together and called a new X.Org katamari. X.Org 7.7 was last week, X.Org 7.6 came for Christmas of 2010, X.Org 7.5 happened in October of 2009 after the April Fools' Delay, etc. On the mailing list beginning last Thursday was the discussion of Looking ahead to the 7.8 katamari. Here's some of the key points of that discussion, which has now been silent for a few days. - Alan Coopersmith will be passing on the "katamari release manager baton" and will definitely not be handling the X.Org 7.8 release management duties of seeing the various packages are updated and released, working together, etc. - Coopersmith thinks X.Org 7.8 should probably come around the time of X.Org Server 1.15 in late 2013. - It would be nice to drop the "old crap" from future katamari releases. As well, "We have dropped a lot of old crap already, and dumped another batch of unmaintained drivers this time around." - It's nice having a specified set of known components that can build together. 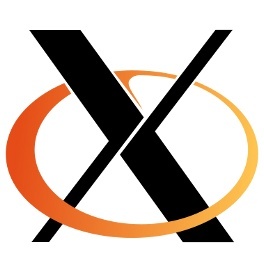 - The releases lead to updated documents on the X.Org web-site. - X.Org releases lead to some extra publicity for the X.Org project. - A simple baseline for discussion so Linux distributions can advertise their X.Org version. - It's easier for embedded system builders to know what should be used. As far as the hopes for what X.Org 7.8 Katamari will hold, there's hopes for XWayland integration, RandR 1.4/1.5, X Resource extension 1.2, video driver hot-plugging, xf86-video-modesetting added to the katamari, xf86-video-nested to the katamari, documentation updates, and replacing Xephyr/Xvfb/Xnest/Xfake with using the xf86-video-dummy and xf86-video-nested DDX drivers. By the time X.Org 7.8 is released in more than a year from now, hopefully Wayland will be on the taxiway for take-off.